Access to the information we need to sharpen our skills has never been easier. With blogs, podcasts, videos, and webinars just a click away, it can be tempting to skip conferences, using time and money as an excuse to stay home. But these justifications can limit our personal and professional growth. Attending an event, especially one that’s out of town, breaks our regular routine. And science proves this can be a very good thing. Psychologists Robert M. Yerkes and John D. Dodson explained that a state of relative comfort produces a steady level of performance. To boost performance, we need to embrace a state of relative anxiety – where our stress levels are slightly higher than normal. This is called “optimal anxiety,” and it’s just outside our comfort zone. 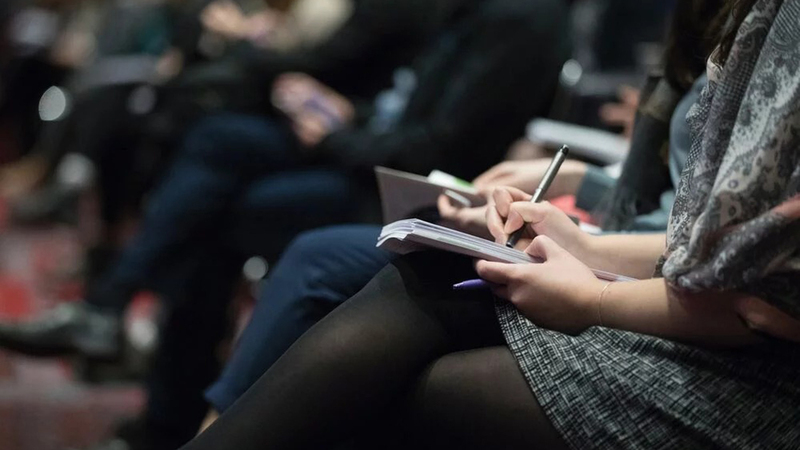 If you combine this with relevant content, connecting with peers, and learning, it’s clear conferences are a valuable productivity tool that shouldn’t be missed. Here’s a sample of some of the food, beverage, and supplement industry events we’re most excited about in 2019. TGCon is the place where food, beverage, and dietary supplement industry pros come together to network and learn. We listened to feedback from our customers and suppliers, and this year we added certifications, five role-specific tracks, and more hands-on training. The TraceGains community has responded with a record number of registrations. In just two days, attendees can advance their knowledge and bring back best practices that move the dial for their business. All attendees have access to our ‘Ask the Experts Lounge’ and direct contact with our customer success and product teams to solve business challenges and get a preview of our product roadmap. Don't miss the opportunity to invest in your career at the biggest TGCon yet. Find out more about the event and register. IFT’s Annual Event and Food Expo is where the most talented and creative minds in the science of food come together to collaborate, share, learn, and network. It’s where you can inspire and be inspired, where you can gain insights and gather intel, and where you can hear the latest research and see the most innovative products. Whether your company is looking for new customers, new suppliers, or new ideas, IFT19 is an essential part of staying on top of what’s next in the science of food and the food industry, so you and your organization can stay ahead of the competition. Advance your career, your business, the profession, and the future of food in just four days. Find out more about the event and register. As food regulations and customer expectations continue to evolve across the United States and around the world, food and beverage companies work hard to meet and exceed expectations. Food safety and quality issues from farm to fork are paramount for both corporate success and public well-being. Food safety, quality, and compliance challenges are not a competitive space, they’re a shared responsibility. The executives responsible for food excellence know they’re more effective sharing and learning with one another to improve the common good. North American Food Safety & Quality 2019 brings together the “who’s who” of food safety, quality, and compliance executives, cutting-edge service and solution providers and media partners for North America’s premier food safety event. Find out more about the event and register. The 12th Annual Food Evolution Summit features the ideal peer-to-peer networking environment for top level executives in new product development (NPD), R&D, innovation and other related fields within the food industry. Be a part of the industry’s must-attend event that features thought leaders from the world’s leading food manufacturers, discussing the key issues affecting the current and future growth of your business. Discuss, examine and evaluate emerging consumer and industry trends and their impact on your business. Determine and adopt the most practical and applicable technological solutions for your business. Advance your career, your business, the profession, and the future of food all in four transformative days. Find out more about the event and register. The 11th Annual Food Quality Symposium, features the ideal peer-to-peer networking environment for top level executives in Safety, Quality Assurance (QA) and other related fields. It’s paramount that companies in the food industry are aware of the latest quality and safety requirements. Be a part of the Industry’s can’t miss event featuring thought leaders from the world’s leading food manufacturers, discussing the key issues confronting the food industry. Benchmark against best practices, share challenges, and lessons learned. Network with the industry’s best minds, share ideas and innovative concepts. Discover the latest methodologies and strategies used by America’s foremost experts in the food industry. Find out more about the event and register. Are you ready to get out of your comfort zone? You can start by signing up for TGCon today.